The most frequented questions I receive once I start discussing my thru-hike on the Arizona Trail are about food. Does that mean you will be carrying all of your food on your back? Yes. Isn’t that really heavy? Yes. Are you crazy? YES! How will you get more food while hiking along the trail? Re-supply boxes. I’m pretty sure it’s impossible to carry 2 1/2 months worth of food on my back. Even if it was possible, why bother when you can re-supply along the way. While I won’t be carrying 70 days worth of food with me, I do plan to carry up to 8 days worth of food at times. During my 800 mile hike, I will be shipping myself packages along the way that will include many important items; but most importantly – my food. 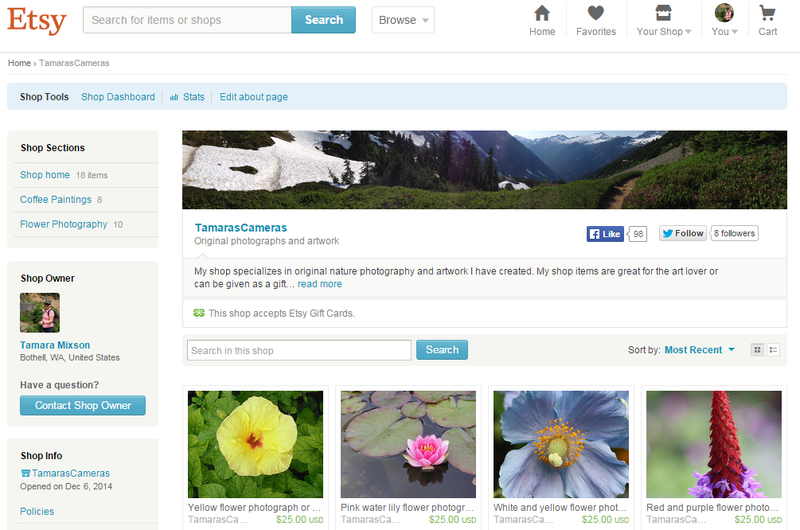 My boxes will also include things such as first aid supplies, toiletries, stove fuel, batteries, and Ziploc bags. Mile 52.8: Patagonia, 3/30 – I will have a re-supply box in my aunt’s car, who will be hiking the first 5 days with me. Mile 569.3: Flagstaff, 5/19 – A friend will be picking me up to spend a night or two off trail. If you are interested in sending a small package to me during my journey, make sure the package contains my name and an anticipated arrival date. If you are hiking the Arizona Trail this year or have hiked it in recent years, I’d love to hear your thoughts on my re-supply plan. This is my first thru-hike, and I’ll take any advice you’re willing to share. Happy trails! 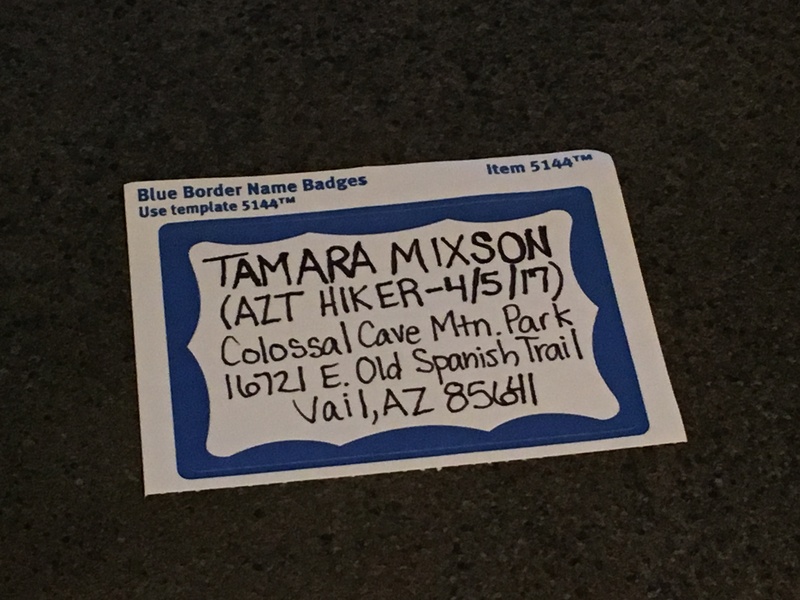 This entry was posted in Arizona Trail, Backpacking, Camping, Hiking, Photography, Travel, Uncategorized and tagged address label, Arizona Trail AZT, backpacking hiking and camping, Colossal Cave, Flagstaff, Grand Canyon National Park NP, Kearny, LF Ranch, Mormon Lake, Oracle, Patagonia, Payson, Pine, Re-supply, Roosevelt Lake, South Rim, tamarascameras, THAT Brewery, thru-hike hiking. Bookmark the permalink. I’m so excited to follow your amazing adventure! Wishing you the best, Be safe, and enjoy every moment. Thanks! It’s already been an adventure, and I’ve barely started.